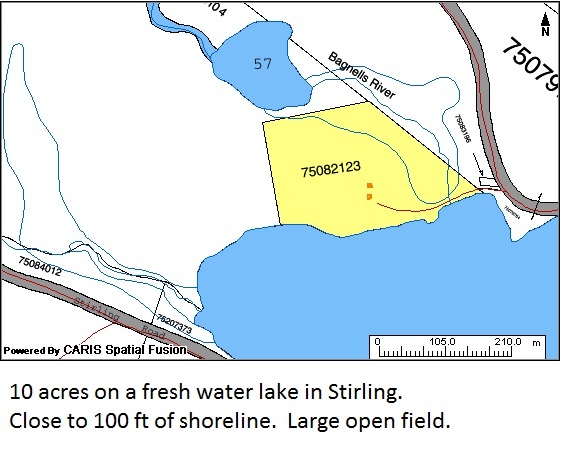 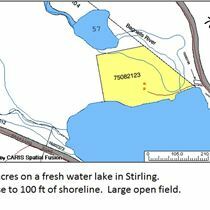 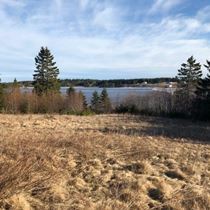 10 Acres on a small fresh water lake in Stirling with more than 300 meters of waterfront,this property was once an old farm. 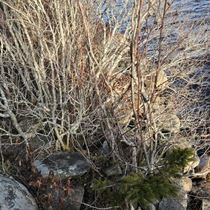 There is a drilled well on the property as well as a driveway. 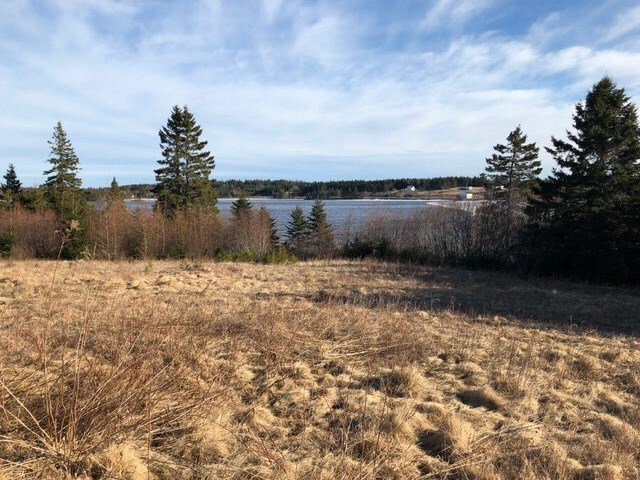 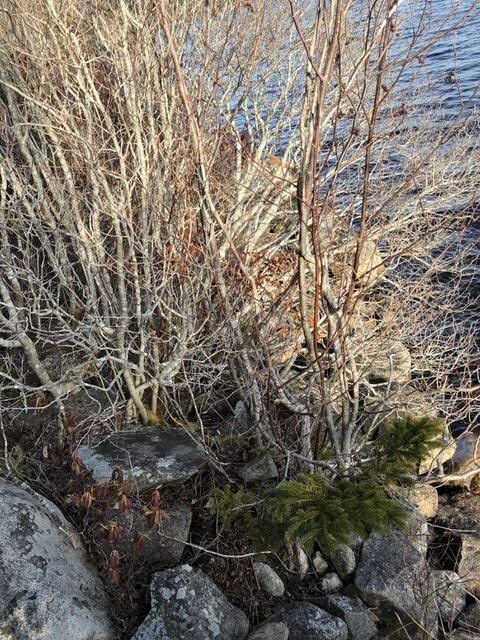 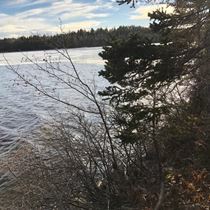 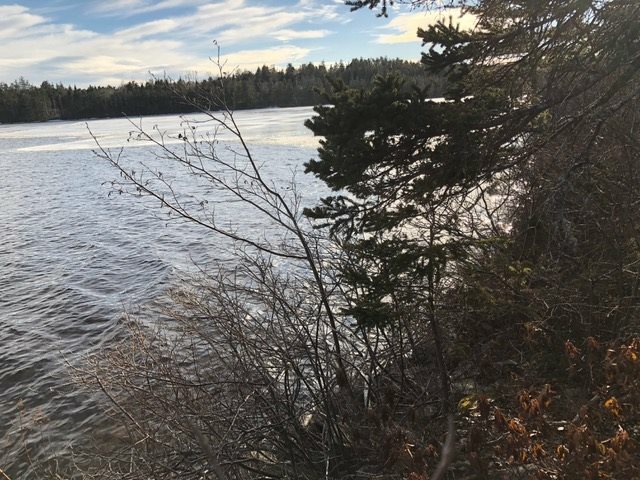 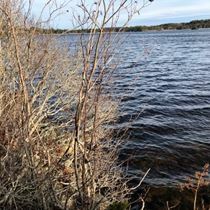 Present owner has a septic and power for a travel trailer .Property is bordered on Crown Land, beautiful views, nice shore line and large field.